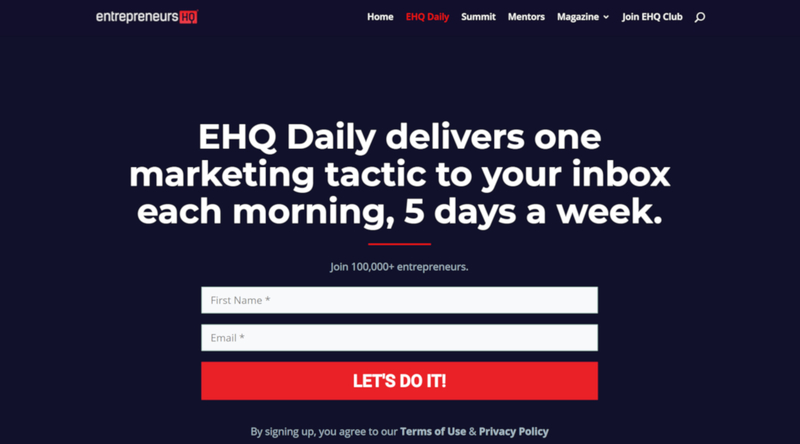 EHQ Daily delivers one marketing tactic to your inbox each morning, 5 days a week. Once a week, get the best practices, tips and insights, to help you grow your online business. Get actionable advice for founders from Noah Kagan. A weekly email on digital media, marketing and advertising technology from entrepreneur and investor Eric Franchi. Sent every Saturday morning. It's the weekend read for the industry's influencers.